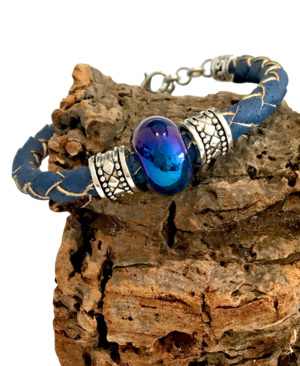 This braided blue cork bracelet is a great addition to our range of natural cork jewellery. 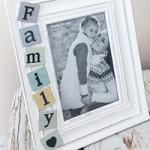 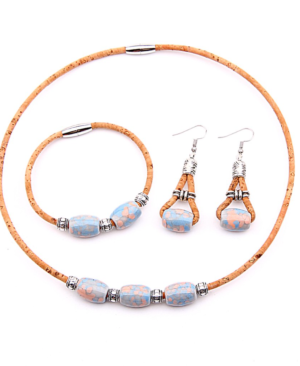 The ‘braided effect’ of the cork creates a charming rustic look and feel, which is then softened by the lovely silver themed embellishments, and beautiful bead that sits at the centre. 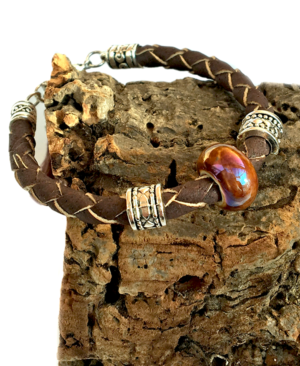 This braided brown cork bracelet is a simple, stylish and unusual. 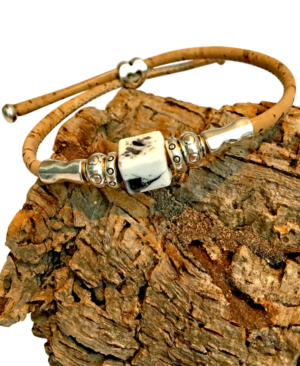 The ‘braided effect’ of the cork creates a charming rustic look and feel, which is then softened by the lovely silver themed contrasting embellishments, and beautiful bead that sits at the centre. 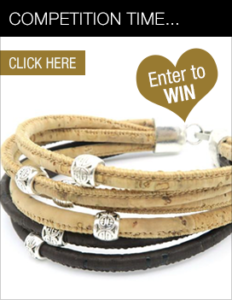 This braided natural cork bracelet is an exciting recent addition to our range of natural cork jewellery. 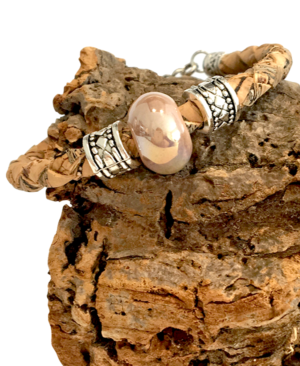 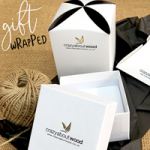 The ‘braided effect’ of the cork creates a fabulous rustic look and feel, which is then softened by the lovely silver themed embellishments, and beautiful bead that sits at the centre. 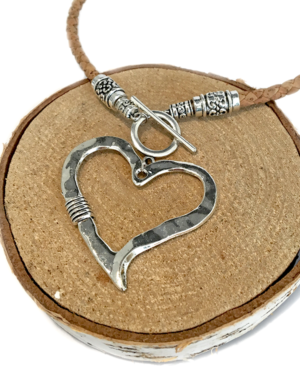 This Braided Natural Cork Heart Pendant is an incredibly popular piece from our collection of natural cork jewellery. 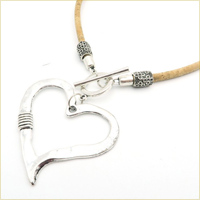 The fabulous heart pendant features a handy front fastening hook clasp, which makes it particularly easy for the wearer to put on and take off. 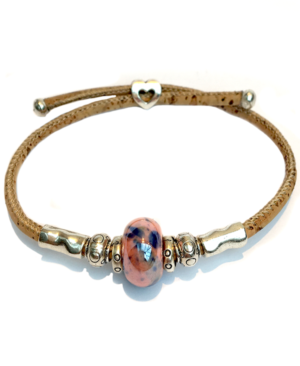 This braided turquoise cork bracelet is a beautiful addition to our range of natural cork jewellery. 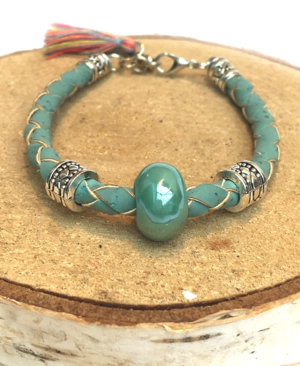 The ‘braided effect’ of the cork creates a fabulous rustic look and feel, which is then softened by the gorgeous turquoise shade, lovely silver themed embellishments, and beautiful bead that sits at the centre. 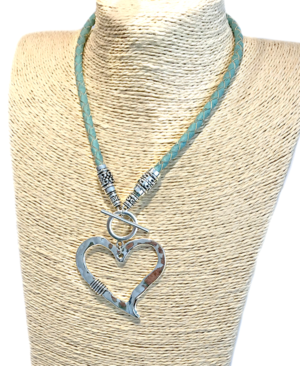 This Braided Turquoise Cork Heart Pendant is incredibly striking. 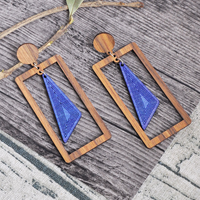 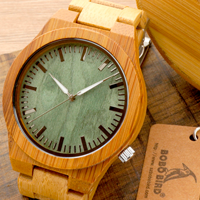 The fabulous turquoise braided cork is a stunning colour – perfect for turning heads during the spring/summer season. 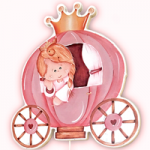 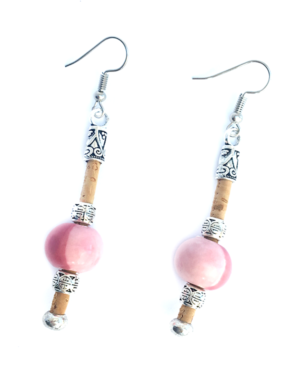 These pretty earrings showcase beautiful shades of pink. 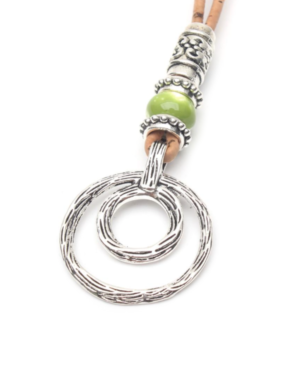 This Circle Natural Cork Drop Pendant is simple, striking and lightweight to wear. 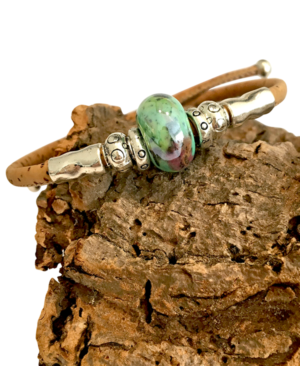 The antique style silver coloured embellishments are beautifully highlighted with the addition of a stunning bead, in a mottled shade of green and white. 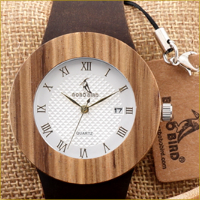 The stylish look is completed with two silver circles that perfectly enhance the rustic charm of this unusual cork pendant.